Joanne is the Director of the Written Remains Writers Guild and the editor of the Written Remains Writers Guild anthologies, The Cicada’s Cry: A Micro Zine of Haiku Poetry, and the All-Monster Revolt Magazine. Her “short” fiction has appeared in Stories from the Ink Slingers, Zippered Flesh 2, Wanderings, Someone Wicked, and Insidious Assassins. Her poetry has appeared in Red Fez Magazine, A Haiku Miscellany, the Haiku Society of America Members’ Anthologies, All-Out Monster Revolt Magazine, and a variety of other venues. Joanne’s novella Transfusions was nominated for a Washington Science Fiction Association Small Press Award. She earned an honorable mention as an emerging artist in literature by the Delaware Division of the Arts in 2011, and was twice selected (2008, 2012) by the Delaware Division of the Arts as a fiction fellow for the Cape Henlopen Poets & Writers Retreat. 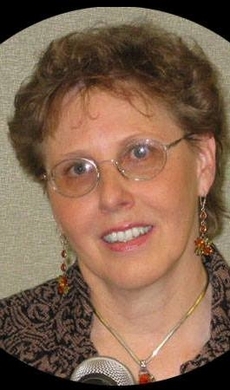 You can visit her online at www.jmreinbold.com. Her story, "The Future of Flesh," was published in Zippered Flesh 2: More Tales of Body Enhancements Gone Bad! JM's story, "Missing," was included in Someone Wicked: A Written Remains Anthology. Her story, "The Absinthe Assassin," appeared in Insidious Assassins. Her story, Song of the Shark God," was published in A Plague of Shadows: A Written Remains Anthology.